“Just a day before his accident, I sent him a message saying I’d call him soon. I wish I had just made that call then. Now I might never get to talk to him again. 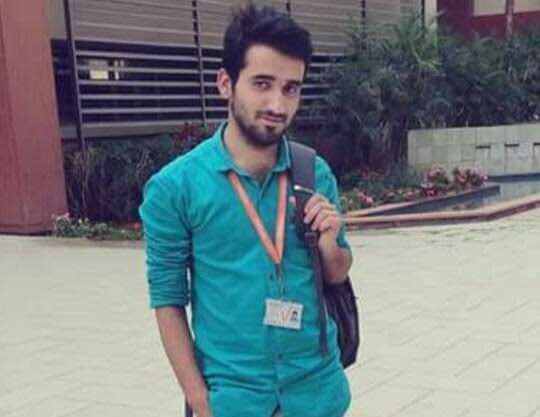 He’s now in the ICU, fighting for his life,” says Danish, Beigh's older brother. Danish (23) received a devastating phone call on 9 January at 5 am telling him that his younger brother, Beigh (21), had accidentally slipped from the 4th floor of a building in Bangalore. Danish remembers it as the most helpless he has ever been. 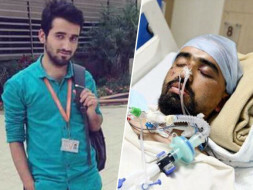 He rushed from Lucknow to Bangalore to find Beigh very critical in the ICU. He underwent a brain surgery soon after. Beigh's condition is improving, but he needs to stay in the ICU longer and get urgent medical care to live. 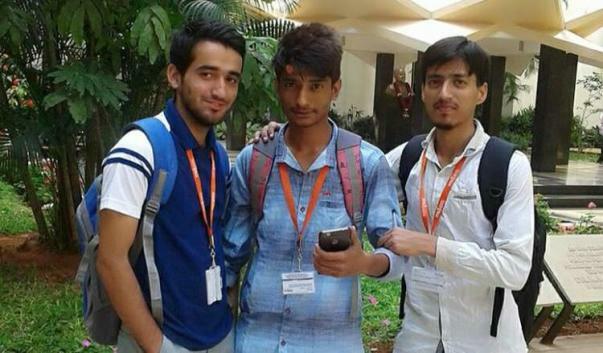 Beigh was studying for his last exam with his friend before the tragic incident occurred in his apartment building in Channasandra, Bangalore. He took a break from studying to throw out the trash on the terrace of the building and slipped and fell while crossing over to his side of the building. After Beigh’s near-fatal fall, he was rushed to the hospital by his friends. 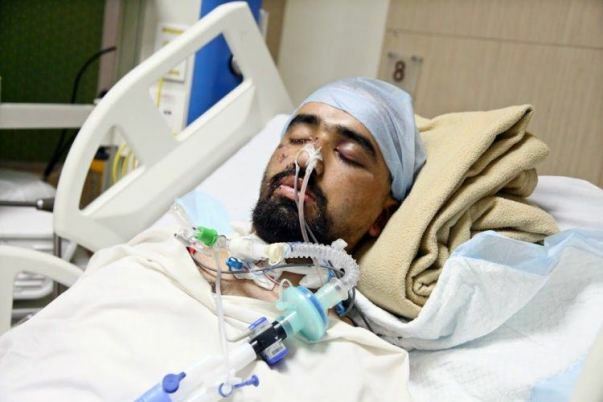 He had to undergo an immediate brain surgery due to severe blood clots in his brain. 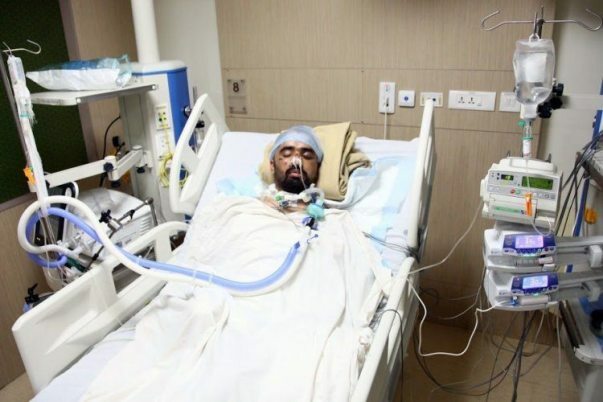 He was then shifted to the ICU and kept on ventilator support. He has been there ever since. After 6 long months of being away from home, Beigh was eagerly looking forward to meeting his family after his last exam.He was studying to be an engineer and had many plans for his future. He hoped that someday he would complete his MBA and get a good job to help support his family. Unfortunately, without further ICU care, Beigh’s dreams might never see the light of the day. Beigh and his family come from a very humble background. They live in Baramulla, Jammu and Kashmir, where their father runs a small shop. Danish earns a salary of Rs. 8000 per month, with which they run the house. Their earnings are not enough to cover Beigh’s piling medical bills. 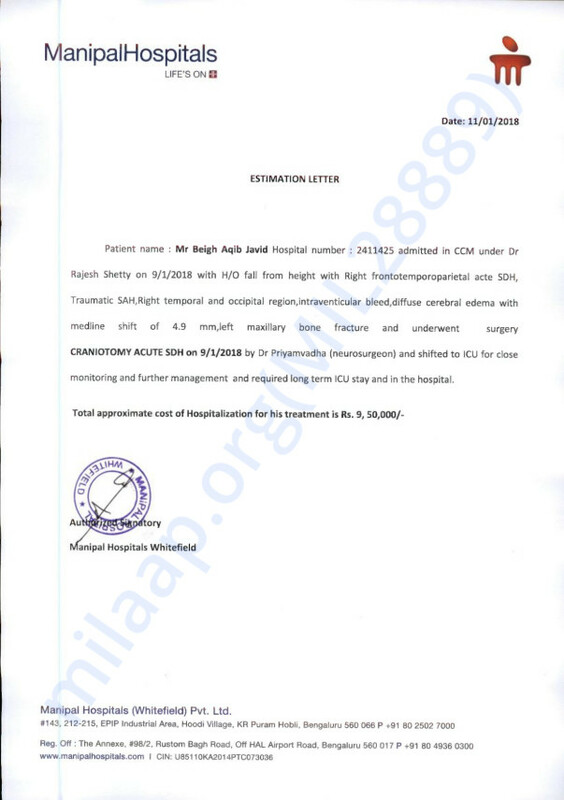 He needs 9.5 lakhs to undergo further treatment. They have already used all their savings to pay 1 lakh for his treatment so far, but the estimated amount is beyond their reach. 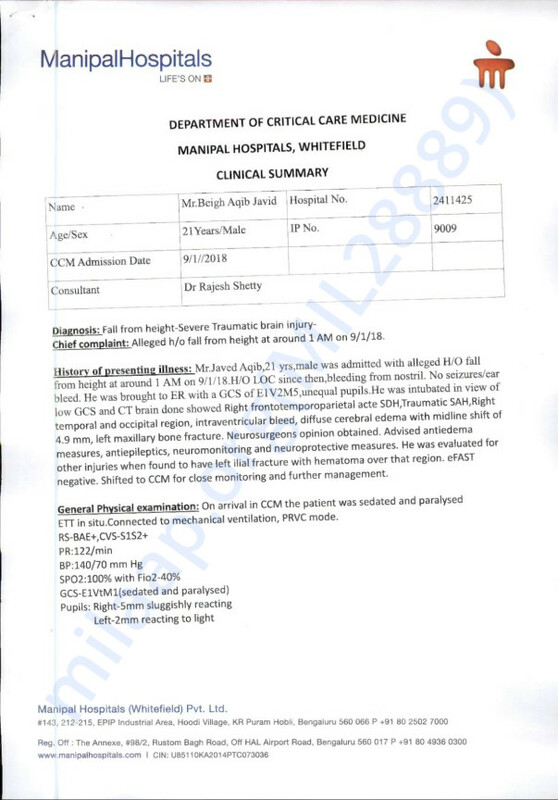 After a near-fatal fall from the 4th floor of a building, Beigh needs 9.5 lakhs to stay in the ICU and get further care. He has already undergone a brain surgery after suffering serious injuries and is now getting better. Beigh has a fighting chance to survive this unfortunate accident, but his brother Danish can’t afford to pay for his treatment any longer. Beigh needs to stay in the ICU for longer to get healthy again. Your support will ensure that Beigh lives to see a future and make his family proud. Here is a quick update on Beigh's health. Currently, he is at the hospital. His condition has not improved much as the doctors are saying it can take more time. He will have to be in the ICU for more days, as a result, doctors cannot say much about the future course of action.